CLRA is an independent, not-for-profit, non-partisan initiative, which works to support and strengthen Parliament and legislatures so as to realise the values of democratic governance. Through research, advocacy, networking and other allied activities CLRA seeks to promote and reinforce the constitutionally assigned roles and functions of parliamentary institutions. 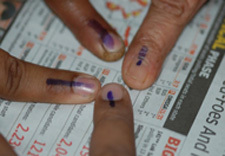 This includes supporting institutional development and capacity building aimed at cultivating a well-functioning, sustainable and pluralistic system of democratic polity. CLRA is the pioneer organization in this comprehensive area of work in India. CLRA works closely with civil society groups, parliamentary institutions, legislators, political parties, civil servants and media to create participatory and collective wisdom and praxis in the policy and decision-making process. 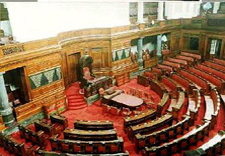 The Indian Parliament plays a supreme role in the Indian political system and is a central institution in the framework of governance. 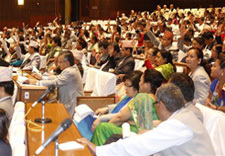 Parliament nowadays has become more a multifunctional body while making policies and laws, overseeing the Executive, and representing people remain its core functions; Parliament’s role has extended to areas of conflict resolution, national integration, grievance ventilation, informational activities, etc. Against this backdrop, the test is for the Parliament to exercise its constitutionally assigned functions and capabilities to promote greater answerability, transparency and participation. CLRA enables a positive engagement with the parliament and it seeks to support and enhance Parliament’s capacity to efficiently carry out its functions and responsibilities. This would ensure a greater and active deliberative role in policy and law-making processes, increased capability in oversight functions and more vibrant representative roles, and consequently a more responsive and pro-people system of governance. Centre for Legislative Research and Advocacy (CLRA) is a national level organization mandated to strengthen and promote institutions of governance in order to ensure transparent, accountable and participatory governance. 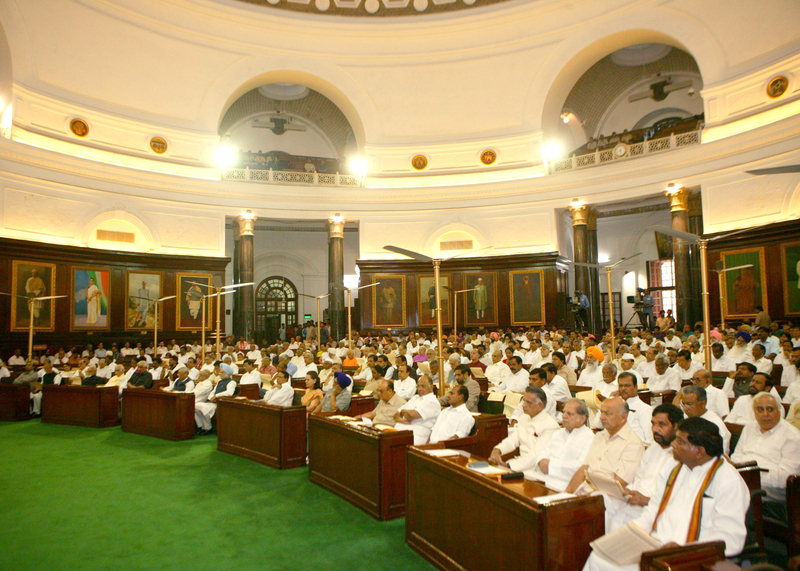 It began its work in 2004 by engaging with the Members of Parliament. Later, it was registered as a Trust. 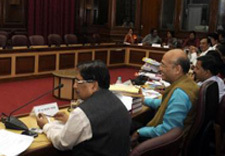 Within a short period of time since its inception, the centre has gained reputation for its expertise in legislative advocacy and Parliamentary development work. The Trust comprises eleven members known as Trustees. A Board of Trustees (BoT) constituting seven Members work as the Executive Committee in whose hands the responsibilities of the Trust are vested. The BoT appoints the Executive Director who is in charge of the executive responsibility of the CLRA. Mr. Vinod Bhanu is the present Executive Director of CLRA. Adv. Anil Srivastava: Supreme Court Lawyer and Standing Counsel of Arunachal Pradesh, and counsel for NHRC and Indian Council for Child Welfare. He is engaged in various public interest cases. He heads an organistation called Society for Legal Support and Research, New Delhi, which is engaged in providing legal aid, legal awareness and access to justice for the marginalised. He was former Deputy Director of PILSARC, New Delhi. Dr. R. Senthil: He is a former Member of Parliament and recognised for his service as a public health doctor, and has brought specialised medical services at an affordable cost to the rural poor in Tamil Nadu. He holds his M.B.B.S., MS in general surgery and specialised in Urology (M.ch.) and secured his FRCS from UK. Dr. Senthil has travelled widely and presented papers in international seminars on issues related to public health. Dr. Muhammed Shaffi F : A public health consultant and researcher. He holds MPH from Achutha Menon Centre for Health Science Studies, Sree Chitra Tirunal Institute of Medical Sciences and Technology, Trivandrum, in Kerala. He has completed his MBBS from Government Medical College, Trivandrum, Kerala. His areas of interests are Health Policy research, Social determinants of health, HIV/AIDS and Non-communicable disease epidemiology. He was selected as BBC-YUVA STAR in 2006 for his work in the field of HIV/AIDS. Dr. Shaffi is currently working with WHO India as a Surveillance Medical Officer in Bihar. Mr. Vishnu Konoorayar K: Assistant Professor at the Indian Law Institute, a Deemed University in New Delhi. He was formerly Lecturer at the National University of Juridical Science, Kolkata and also at Kannur University, Kerala. He holds LLM in Human Rights Law and Commercial Law from School of Legal Studies, Cochin University of Science and Technology. His areas of interest are Human Rights Law, Globalisation and Law, and Agricultural Law. He has contributed articles and research papers in various national and international journals and books. Dr. R. Sugathan: Researcher in development and intellectual history, he holds PhD and Postdoctorate in Philosophy from Jawaharlal Nehru University, New Delhi. His noted works are Philosophy of Thought: Dialectics and Polylectics (Shubhi, Gurgaon - India, 2007) and Polylectics: Logic of Postmodernism (Manak, New Delhi, 2002). Dr. Sugathan is engaged in development research and writing. Ms. Devika Prasad: Researcher on police reform and comparative justice system. She holds Masters in Comparative Legal Studies from the School of Oriental and African Studies, University of London. She works with the Commonwealth Human Rights Initiative, New Delhi. Her areas of interest include police reform, access to justice, and human rights. D.Sankar Rajakumar : He has done his postgraduate in social work from Madras School of Social Work and the masters in development studies from the Institute of Social Studies, Hague Netherlands. He has been in the NGO sector for the past 15 years. He has extensively worked on several issues such as the rights of dalits and indigenous people, housing and livelihood issues of the vulnerable communities, violence mitigation amelioration project, rehabilitation policy, evaluation and consultancies for national and international organizations. His major contributions are developing participatory training methodology for community leaders on Human Rights issues. He is presently working on the issue of HIV positive peoples right. Mr. Vinod Bhanu: Lawyer by training, he holds Law Degree from Government Law College, Cochin, Kerala. He has been associated with the development sector for over two decades. He has been a consultant/advisor to several organizations. He has developed expertise on parliamentary affairs, legislative advocacy and parliamentary development work. His areas of interest include Parliamentary studies, governance and social policy studies. Copyright 2017 CLRA. All Rights Reserved.